And they are readily available. For instance, I live in the sticks (the boonies). I complain all the time about living in the middle of nowhere, but I find these at a grocery store nearby. Chances are you can find them too. Size wise, they are about the length of a bell pepper, but they are darker and more triangular. 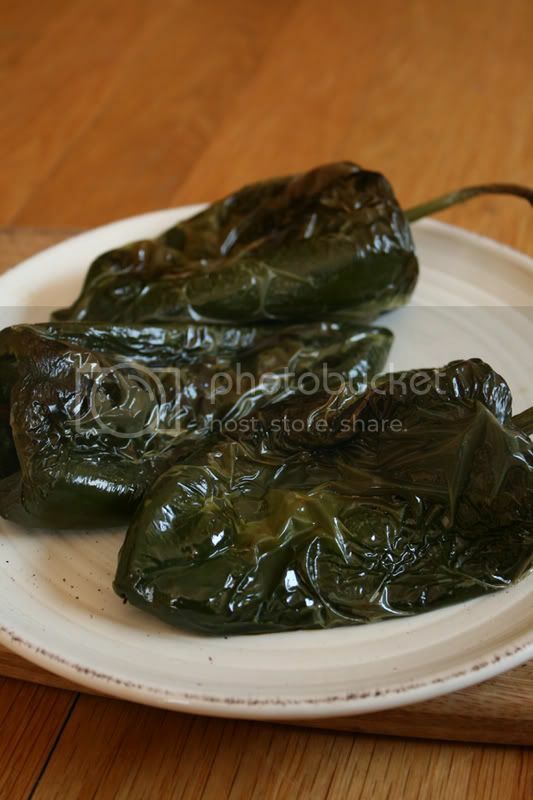 These chiles are most widely known to be the pepper used in the dish Chiles Rellenos (stuffed chiles). They are also used in rice dishes and casseroles such as my Pollo en Pipián Verde. They are somewhat hot, but not like a jalapeño or serrano chile. I don't think I've ever used them in a recipe that didn't call for roasting and peeling them. The roasting deepens the flavor and makes removing the peel super-easy. Here's how to do it. When roasting their poblanos, some people use their oven or even just the flame of their stove top. I think the toaster oven is easiest. I just put them in there on the highest setting. 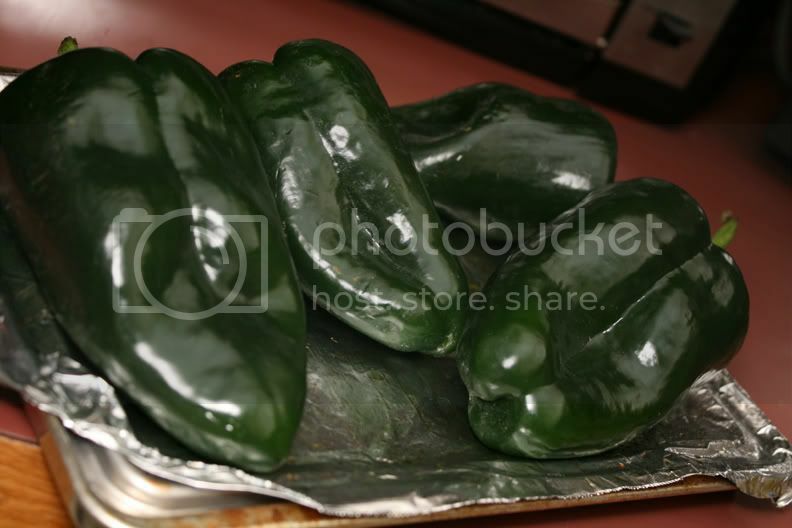 It took about 8-10 minutes per side today to roast a few poblanos in my toaster oven. You'll know when a side is ready because the skin will be bubbly (big bubbles) and should be blackening on those bubbles. When the peppers reach that stage, just flip them over and do the same thing on the other side. In the picture below, the one lying across in the front is ready to flip. The others are not. Be sure to pull the seeds out. If you are going to make a chile relleno, you should make a small incision (play doctor!) and remove the seeds through it. For anything else, you can just pull the chiles apart as you remove the seeds. Now you are ready to make all kinds of delicious meals. Thanks a lot for your recipes. I have used the one about the Poblano peppers. It's awesome! I wanted to do 'Rajas con crema' but I couldn't find a place where they actually explain in detail the process of roasting and peeling, which to me is the most important part of the process. Anyway, I am going to go enjoy some rajas. Thanks a lot and have a great day. 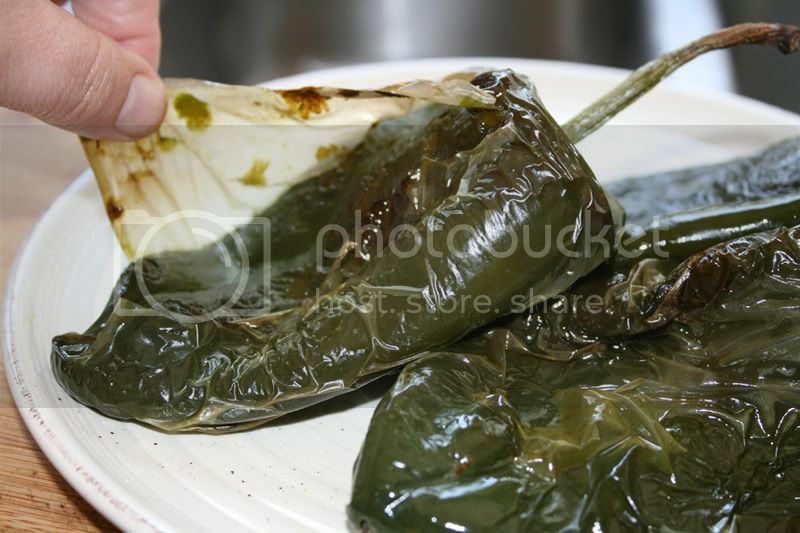 Tonight I was looking for "how to roast poblanos.."
I'm making Enchilada Suiza Lasgna.. Thank you for putting your passion on the web.. I'll keep checking back in.. Thank you so much Mimi. You made my day! Wow, thanks for posting this with pictures! I'm a novice cook and this was the most helpful thing I found on the web! You are awesome. I have never roasted a pablano and just picked them from my garden. The pictures were perfect and now I know what to do. Thanks. You helped me roast my first poblano pepper! Sometimes the simplest way is the best way. Thank you! That was unbelievably helpful! Why don't more cooking sites use pictures? It takes all the confusion out of cooking. I just found your blog, and I'm so glad I did. I'm sitting here with a pile of poblano peppers, and I was wondering what in the world to do with them. I'm researching online. You have a great blog. I'll visit often! Thank you for the recipe this is exactly what I was looking for...the pictures are a big help! Thank you! I've been putting off roasting my poblanos because I thought it would take longer, but this was so quick and easy! 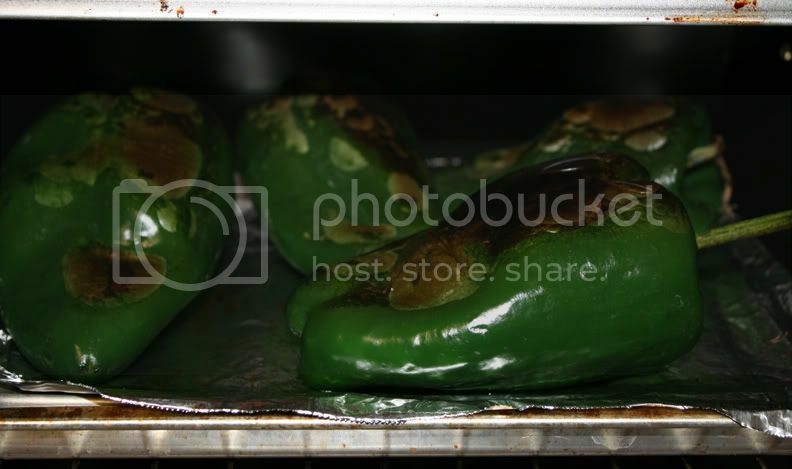 Also my first time roasting and peeling a poblano pepper, and the pictures on your site were so helpful. A question: what happens if there is still some peel left on the pepper in some hard-to-peel spots. Is it okay to eat? Thank you for such great info on a (now) relatively simple task. Good wishes to you and your family. ah, I love it. Thanks so much! ask the grocer which one it was. I don't cook much and now I know why.